If you have questions about insurance qualification, please call 402-223-7341. Physical Therapy is provided through the Rehabilitation Services Department at Beatrice Community Hospital and Health Center. Therapy services are provided to inpatients, swing bed patients, home health patients, athletes, and outpatients of all ages throughout Southeast Nebraska. Can assist with arm splints, braces for feet and other positioning devices. Can assist in finding and providing compensatory or adaptive devices such as communication aids that work best for a patient to increase their independence and quality of life. Can assist with finding and providing appropriate wheelchair and other positioning devices for optimal and safe positioning. Garret Van Brocklin earned his Master of Science Degree in Physical Therapy from the University of Nebraska Medical Center in 1995. He began working at Beatrice Community Hospital and Health Center in June 1995. 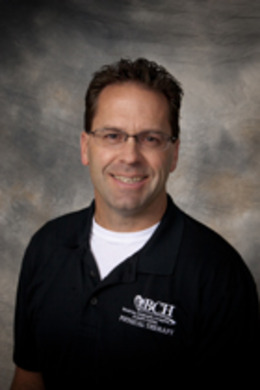 Garret has special interests in sports rehab, shoulder rehab, joint replacement and orthopedic injuries/therapy. He has additional training in sports injury/rehab, wound care and orthopedic rehab. Garret grew up in Creighton, and currently lives in Cortland. He and his wife, Susan, have four children: Ben, Zach, Anna and Eli. Garret spends his spare time coaching youth sports, cycling, fishing, kayaking and attending his children’s activities. 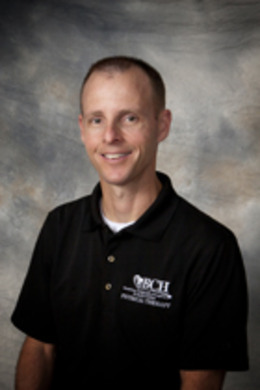 Jason Hatcliff earned his Master’s of Physical Therapy Degree from the University of Nebraska Medical Center in 1999. He began working at Beatrice Community Hospital and Health Center in 2001. 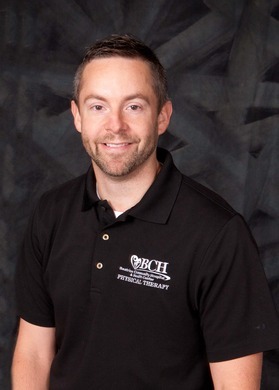 Jason has a special interest in sports injuries/sports rehab and orthopedic conditions. He serves as the Rehabilitation Services Department Clinical Education Coordinator. Jason grew up in DeWitt, and he and his wife, Jaime, have three daughters. Jason enjoys watching his daughters play sports, hunting and fishing. Jordan Kershaw earned his Doctorate of Physical Therapy Degree from the University of Nebraska Medical Center. He began working at Beatrice Community Hospital and Health Center in July 2018. 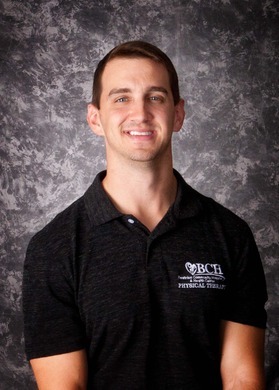 Jordan has additional certifications in dry needling, blood flow restriction training, and vestibular rehabilitation. He enjoys rehabbing orthopedic conditions including sports injuries and joint replacements, as well as treating patients with vertigo. Jordan grew up in Culbertson, and now lives in Beatrice with his fiancé, Jill. He enjoys working out, playing basketball and golf, and attending Husker events. Kasey Murphy earned her Doctorate of Physical Therapy Degree from the University of Nebraska Medical Center in 2012. She began working at Beatrice Community Hospital and Health Center in August 2012. She enjoys working with the pediatric population and women’s health patients. 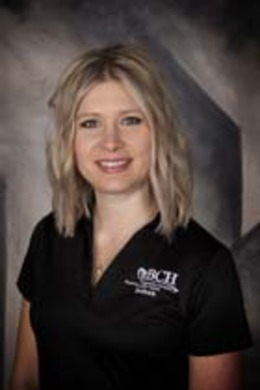 She completed a pediatric clinical internship at Children’s Rehab Center in Grand Island, and trained in the treatment of pelvic pain, urinary incontinence, and urogynecological disorders through Herman & Wallace Pelvic Rehabilitation Institute. Kasey grew up near Odell. She now lives in Beatrice with her husband, Trevor, and their twins. She enjoys running and spending time with family. Kristin Riekenberg earned her Doctorate of Physical Therapy Degree from the University of Nebraska Medical Center in 2013. She began working at Beatrice Community Hospital and Health Center in December 2014. She enjoys working at BCHHC for many reasons, but perhaps her favorite is the variety of patient types she gets to see. Since starting work at the hospital, she has attended training for treatment of vestibular disorders such as vertigo. She also enjoys working with pediatric patients. Kristin lives in Beatrice, with her husband, Brian, and their son, Nolan. When not working, she enjoys spending time with family. Justin Schardt earned his Doctorate of Physical Therapy Degree from Des Moines University Osteopathic Medical Center in 2008. He began working at Beatrice Community Hospital and Health Center in 2017. Justin enjoys working with orthopedic patients with an emphasis on manual treatment approaches. He is Graston Technique certified and is in the process of becoming a McKenzie Certified provider, which would enhance his treatment for all musculoskeletal problems, including pain in the back, neck and extremities, as well as issues associated with sciatica, sacroiliac joint pain and intermittent numbness. Justin grew up near Deshler and currently lives in Beatrice with his wife, Linsey, and two sons. He enjoys spending time with his family, golfing and playing basketball. 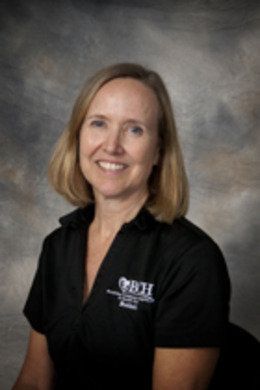 Stephanie Sorensen earned her Bachelor’s Degree in Physical Therapy from the University of Nebraska Medical Center in 1985. She started working at Beatrice Community Hospital and Health Center in August 2000. Stephanie has a special interest in geriatrics, orthopedics and women’s health, and is certified in weight training for the elderly. Stephanie grew up in Rising City. She and her husband, Jay, have been married for 30 years and have two adult children. Stephanie enjoys gardening, golfing, cooking and traveling. Amanda Thimm earned her Bachelor of Arts Degree in Psychology in 2002 and her Master of Physical Therapy Degree in 2004 from Rockhurst University in Kansas City, Missouri. She began working for Beatrice Community Hospital and Health Center in July 2012. 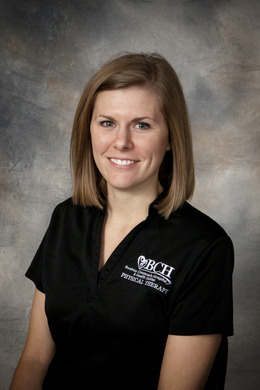 Amanda has special interests in aquatic therapy and orthopedic patients. Originally from a small town in Missouri, Amanda moved to Beatrice when her husband began farming with his family. She enjoys spending time with family and friends and stays active taking care of her two young boys. Degree in Athletic Training from the University of Nebraska-Lincoln in 2002 and her Doctorate of Physical Therapy from Des Moines University-Osteopathic Medical Center in 2005. 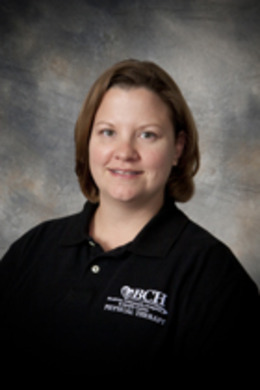 Annette has special training in manual therapy and Kinesio Taping techniques, in addition to being a certified and licensed athletic trainer. 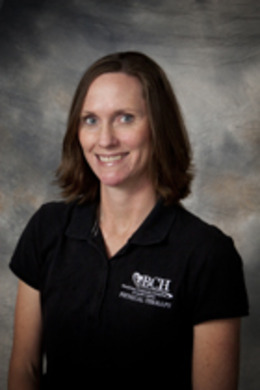 Annette has a special interest in treating a variety of orthopedic issues including: joint replacements, athletic injuries and dysfunctions of the cervical, thoracic and lumbar spine. Annette grew up near Bennet and graduated from Palmyra High School. In her spare time she enjoys remodeling her home, caring for her pets (one dog and two cats), and showing her two horses.